Euro 2016 is over and Portugal are winners. Wild, eh? Gabriele Marcotti offers 24 thoughts to round out an entertaining 24-team tournament in France. We had severe flooding in the build-up to Euro 2016. ESPN's set on the banks of the Seine had to be evacuated and transferred elsewhere. We had strikes and demonstrations entirely unrelated to the competition that nevertheless disrupted travel and brought out police with riot gear and tear gas canisters. And we had the threat of terrorism, which thankfully never materialized during the tournament. Let all of this serve as a reminder that while sports -- and particularly tournaments like this one -- are made-for-TV events, they exist in the real world. To some, they may provide a distraction or an escape. But they remain rooted in reality. The 24-team format displeased some purists who argued that it led to more emphasis on defending at the expense of entertainment. I have yet to hear a cogent argument for why it would have been any different with 16 teams involved. These are the same folks who moan about "diluted" quality, but the harsh truth is that when you do get a high-class encounter -- check Germany vs. France or Germany vs. Italy -- odds are it will take a mistake, a refereeing error or an individual act of genius to break the ice. Everybody has learned how to defend and that won't change whether you have 24, 16 or just four teams in the tournament. You're tempted to give French law enforcement a pass since terrorism (rather than hooliganism) was the main priority. But things went badly wrong from the start; Marseille was clearly unprepared for the clashes between what looked like Russian professional hooligans (replete with GoPros and fanny packs), local Ultras and England supporters. This stuff could have been avoided. It's not as if the Marseille Ultras are unknown to the local cops, the traveling Russians have teleportation powers or the England fans aren't generally hugely predictable in their behaviour which can make them both easy targets and hugely annoying to the local population. Or as if, by and large, most police forces haven't managed to deal with this nonsense. The way you deal with this is with intelligence and coordination between different police agencies and some commonsense law enforcement. We know it works because high-profile games regularly take place without incident. On this occasion, it all broke down. Most worrying is what happened in the grounds themselves: from supporters carrying flares, to England fans attacked inside the Stade Velodrome, to the pyrotechnic display that marred Croatia's game against the Czech Republic (an internal dispute between some supporters and the Croatian FA, but still entirely unacceptable). We don't live in a nanny state; we know law enforcement can't be there to protect us 24/7. But it's not unreasonable to expect them to be able to enforce their own rules in an enclosed space like a stadium -- particularly when you're supposed to be on heightened alert. Does it rankle that a team can win just one game in 90 minutes and be crowned European champions? Not really; it's a knock-out format and this is a low-scoring sport. You'll get draws and what comes after them, better known as extra time and penalties. It's not the football we know live most weeks, but until somebody comes up with a better format, this is it. Portugal are worthy champions. It doesn't mean they're the best team in Europe, it doesn't mean that there weren't 101 things that went their way (and, probably a 101 that went against them) or that if the balance had been skewed even a tiny bit, they would not have won. But that's tournament football -- slim margins. If Andre-Pierre Gignac hits the ball differently in the most infinitesimal way, Rui Patricio is beaten and France are champions. Go back through the tournament and you'll find dozens of like examples that might have changed the course of Euro 2016 and probably yielded a different champion. Learn to accept it for what it is and you'll be much better off. The Confederations Cup is less than 11 months away and after that, we'll have the World Cup itself in Russia. 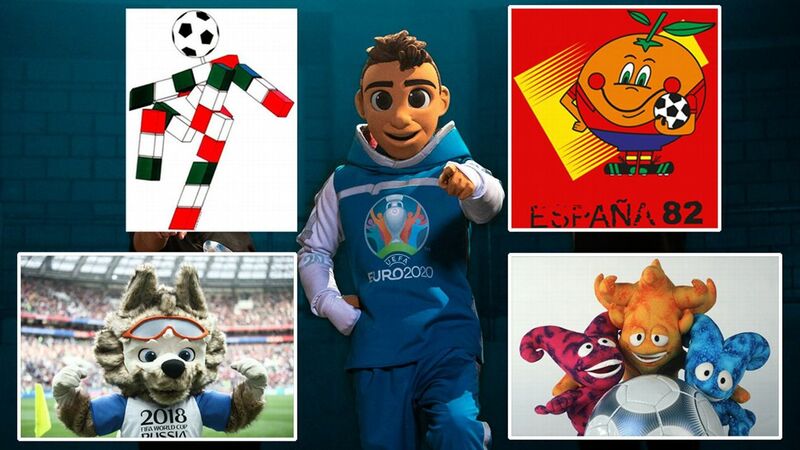 It's tough to remember hosts in greater disarray ahead of a major tournament. Right now they have no head coach, a federation in serious financial difficulties and a team that performed as poorly as any at the Euros. Antonio Conte was saddled with perhaps the least talented Italy side of the past half-century and came within a penalty kick of the semifinals. Stuck with lemons, he made lemonade, relying on sophisticated schemes, blue-collar effort and his trademark intensity. 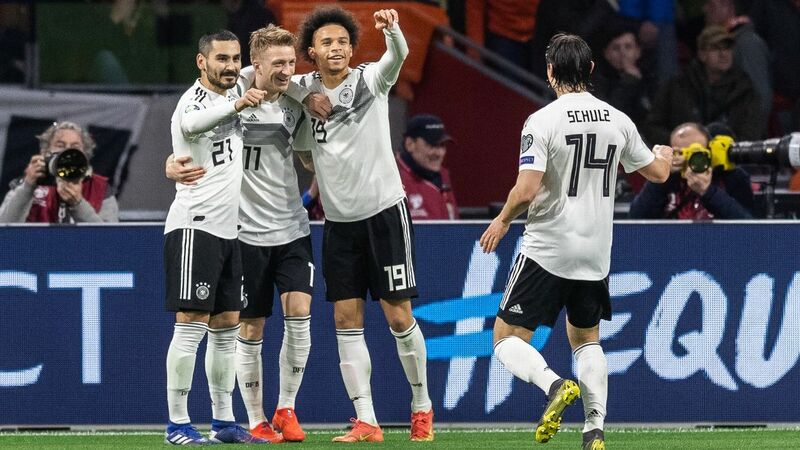 Along the way, they registered convincing wins over Spain and Belgium and battled Germany to a standstill. And suddenly, everybody was back on the Azzurri bandwagon. Belgium weren't just the hipsters' choice. They were one of the three or four most gifted sides at the tournament. Yet despite having a coach, Marc Wilmots, who has been part of the set-up since 2009, they often looked like 11 very talented players who stumbled upon each other in the park for a pick-up game. Fernando Santos kept together a Portugal team stuck between generations. Whether they played reasonably well and created tons of chances but failed to convert (see: the opening two games), simply shut up shop and turned it into a war of attrition (as they did vs. Croatia and, to a lesser degree, vs. Poland) or weathered the massive psychological blow of losing their best player (you-know-who) in the final, he kept his hand firmly on the rudder. And, as Jose Fonte said after the semifinal, he "always knew the right thing to say to the squad." England's defeat to Iceland was one of those shock moments that prompt all sorts of soul-searching and comprehensive reviews. Sometimes stuff like this is down to a variety of factors. And sometimes there's one overriding one. Roy Hodgson is a class act and has been for a long time, but this one's on him. The decision to play Dele Alli and Wayne Rooney together in a midfield three remains incomprehensible. It also stinks of letting himself being influenced by external factors. It's been seven straight major tournament semifinals for Germany, so they're only going to get so much sympathy. But it's tough to spot an opponent Marco Reus, Ilkay Gundogan, Mario Gomez, Sami Khedira and Mats Hummels and get away with it. Joachim Low almost managed it; by most measures, they thoroughly outplayed France in the semifinal. Maybe if the real Thomas Muller had shown up instead of this version -- mired in summer slump -- it might have been different. Acres of newsprint -- better yet, zillions of Terabytes -- have been devoted to celebrating Iceland, so I'll make this brief. Let this be a reminder that whatever pedigree a team may have, at kickoff, it's 11 vs. 11 and anything can happen. Let this also be a reminder that very few things can coalesce a nation as 22 young men (plus a not-so-young Eidur Gudjohnsen) striving successfully for the same goal. We'll remember them for a long time. Huh! Maybe more than a World Cup for simple reasons of geography, the Euros excel at making fans part of the show. It was like that for Iceland, of course, but there were many other examples. Wales -- perhaps because I ended up watching four of their games -- also stood out for me. Fans' love isn't entirely unconditional, though. They demand effort in return and if you also provide quality and results, then all the better. Chris Coleman's crew did all that, turning Gareth Bale into a blue-collar superstar who makes those around him better. Paul Pogba has a long career ahead of him. He'll get plenty of mulligans, although he'll likely never again have a chance to win a major tournament on home soil. Still, you can't help but wonder what might have been if Didier Deschamps had only figured out a way to use him properly. Cristiano Ronaldo's reinvention at the Stade de France -- from Atlas carrying 11 million on his back to cheerleader/assistant/big brother -- was remarkable. For a guy so often depicted a self-centered narcissist, the fact that he did not remain in the bowels of the stadium sulking and mourning his own misfortune isn't something to be taken for granted. Nor is the psychological effect winning without him might have had on Portugal. They won without him on the pitch, something nobody would have ever imagined. Some saw Spain's defeat at the hands of Italy as the umpteenth death knell for a certain type of possession-based football. (OK, I'll come out and say it: the death of "tiki-taka.") I'm not sure that's the case. If anything, when done right, it remains an essential tool to break down packed defenses. Spain's problem against Italy was execution and the fact that, on the day, they couldn't match their opponents tactically. We never did find out what Will Grigg can do when he's on fire. At least not in a Northern Ireland shirt. But we did discover what organization and tactical nous can do for a side with objectively limited talent. Here's hoping someone further up the food chain gives Northern Ireland manager Michael O'Neill a shot, although given the bond he's forged with this team, he might not want to take it. When a smaller FA hires a foreign coach, sometimes he feels like a foreign object or a hired gun, but sometimes he becomes part of the fabric: just ask Fernando Santos how he feels about Greece (hint: he didn't blend in). Gianni De Biasi fits in the latter category. He took Albania to their first ever major tournament and he can tell his grandkids that he exited the tournament with as many wins in ninety minutes as the eventual champions, Portugal. They held out until the 90th minute against France, lost by the slimmest of margins to Switzerland and went down to 10 men vs. Romania but still won. Honorary citizenship must be around the corner. Poland leave the tournament undefeated but for penalties and with the added regret of having gone ahead against Portugal in their quarterfinal. A little bit like Germany with Muller, they'll be left to wonder what might have been if their star Robert Lewandowski had shown up in top form. The good news is that there's plenty more to come for Adam Nawalka's crew. Referees get plenty of flak; it's the nature of the job. But whenever you can look over a 51-game tournament and count on one hand the number of subpar performances, you've got to be pleased. It's not something to be taken for granted, especially when you compare it to some of the nonsense refereeing we witnessed at the Copa America. I'll miss Gabor Kiraly's sweatpants and I hope they don't overshadow the fact that he led his country to the tournament at age 40. The Golden Age of Hungarian football is gone and may never return, but European football is better when they're (and he's) involved and contributing. Goosebumps. That's what I experienced at the Turkey vs. Czech Republic game, a match that, on paper at least, offered little other than a remote opportunity for both to qualify depending on results elsewhere. (It didn't work out that way.) But with fans like Turkey's -- and Fatih Terim stalking the sidelines -- it's always a spectacle. Antoine Griezmann leaves as the Euros' top goalscorer. His tournament was bookended by indifferent performances, but he was nothing short of sensational in the five matches in between. His has been a vertical rise but it should also be a cautionary tale. He was overlooked by the French football establishment as a kid, only earning his first cap less than a month before his 23rd birthday. Is it that hard to spot talent? When Michel Platini's face was displayed on the stadium big screen on Sunday, many booed. He's part of the past now, as far as UEFA is concerned. But the future now becomes critical with an election looming in the fall. There are so many issues in play from Financial Fair Play to the format of European competitions (and possibly the SuperLeague), from oversight of transfers to further expansion of the Euros (perhaps with a different format), as well as the growing financial imbalance across the continent. This is one election UEFA can't afford to screw up.